ANF, Istanbul — The Turkish writer and journalist, Oral Uzkuray considered the “draft law on prohibition of the terrorist financing” as an “economic genocide” against Kurds. Uzkuray noted that their goal is to break down the Kurds economically and financially in Turkey. He said “the Kurdish businessmen killed in their homes, one after the other in the 90’s. Now they have decided to solve the problem with their plan through the use of Nazi’s guidelines”. 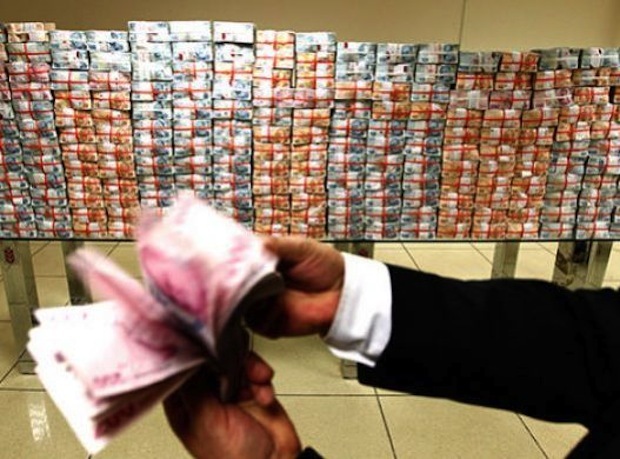 Turkish parliament’s justice committee, approved the “draft law on prohibition of the terrorist financing” a few days ago. If the draft becomes law, without the prosecution order, and under government’s order a “special commission” of bureaucrats is formed who can seize the opposition property and wealth on the pretext of supporting terrorism. Article 2 of the law states “there is no need a court order for sentences”. The former editor of the magazine “Idea Politika” Oral Uzkuray said in response to questions from the Firat Agency: The law is the most dangerous legislation that is similar to the rule 90’s in Turkey. This is the same law of Nazi Germany rule which had confiscated all Jewish wealth and assets prior to the Holocaust. We saw the results of it. The Kurdish capitalists murdered by the government one after the other in the 90’s. They are now trying to mimic of the Nazi’s approach, Uzkuray mentioned. Uzkuray noted further that the Turkish government aims to pass this law, and destroy Kurds economy and consequently all of society would be collapse due to the law. Uzkuray added: by promoting such a bureaucracy, they are seeking to promote the state terrorism and economic intimidation as a big wave against the Kurds. It does not mean to say we have to wait and see, because it has nothing to do with the finance and terrorism financial power. The law is written so narrowly. According to this law, all those who are dealing with politics such as Kurds and non-Kurds oppositions, organizations, television channels and the Parties would be at risk. Oral specified that Turkish government tries to confiscate property of the Peace and Democracy Party (BDP) and in this context, he warned “Republican People’s Party” (CHP) as well. He said: Surely the commission whose members are more bureaucrats will take action against Parties to seize and confiscate their property. Even the Nationalist Movement Party (MHP) also is danger but their biggest objective is BDP Party. Erdugan Party (AKP) also will take action against other parties after solving the Peace and Democracy Party issue to establish its totalitarianism. Uzkuray said the approved law is an “Economic Genocide” and added, We have already seen that “The War on Terror Law” was a policy of “Society Genocide”. We have seen that they call terrorist, and jailed those who have not took a gun in their entire life. The Armenian’s Genocide began by putting in jail 260 Armenians including journalists, writers and MPs on April 24, 1925. Their goal is to captivate the masses easily. The Turkish government law is part of the genocide policy. Kurds who are economically powerful are targeted to blow down. Since the “Struggle With Terror” was against the Kurds, in the same way, the “draft law on prohibition of the terrorist financing” is the law to breakup Kurdish organizations and it is the Kurd’s nation genocide, Uzkuray stated. Oral Uzkuray stated that in order to prevent disasters worse that this, the establishment of the aforementioned law needs to be stopped.